As another season comes to an end and 2019 draws closer (14 weeks until Christmas, just saying!) it’s time for us to mention the interior trends you need to know about. Now, we say ‘mention’ because for sure, we aren’t trend experts! At Wallsauce.com, we like to bring a little bit of everything so that all interior styles are covered – literally. However, rest assured, for those of you who are keen to know about the interior trends for 2019, we’ve had a little help from a celebrity interior designer. Read on to hear about the trends you’ve been lovin’ and what to expect for the new season. To kick start 2018, we were feeling electrified by Pantone’s colour of the year, Ultra Violet. It was supposed to replace 2017’s colour, Greenery, but with the tropical trend taking over homes, we can’t help but realise that Ultra Violet just hasn’t pulled through. 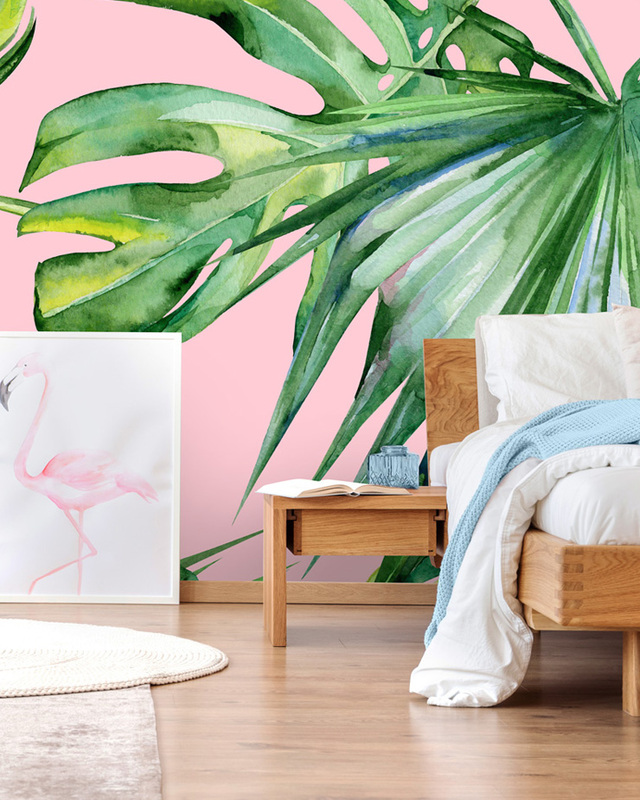 Whilst we’re talking about the tropical interior trends, you guys just can’t get enough of it! With its bold leaf prints and rich green tones, the tropical trend has brought a plethora of styling opportunities. Up next, wallpapering ceilings no longer became a convenience to hide imperfections. You guys were feeling brave and started to make a statement of your fifth wall. 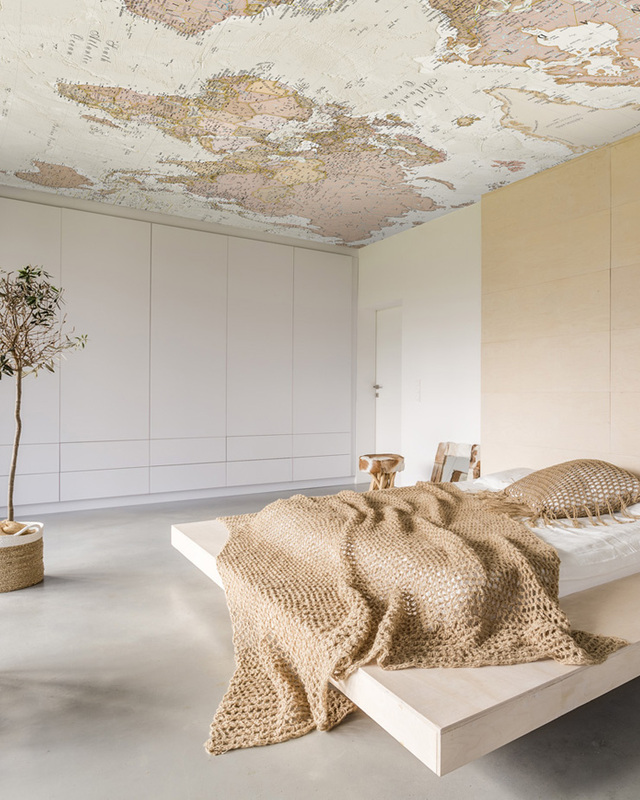 From starry skies to luxurious marble, we’ve revisited the Victorian era and are embellishing our ceilings with bold wallpaper murals, but will this trend continue throughout this year and into 2019? If you're looking for an instant update to wave off 2018, for beautiful fall decor you might want to check out Top Reveal's blog post on fantastic fall decorating ideas which contains lots of lovely autumnal DIY ideas. To help us understand and develop the interior design trends for the new season, we spoke to Mark of Mark Cutler Design, a celebrity interior design firm based in Los Angeles. If you thought their celebrity status was impressive, the company is also one of Robb Report’s Top 40 interior design firms in the WHOLE of the USA. On this note, we think it’s fair to say the advice he’s offered us, is most likely going to be spot on! 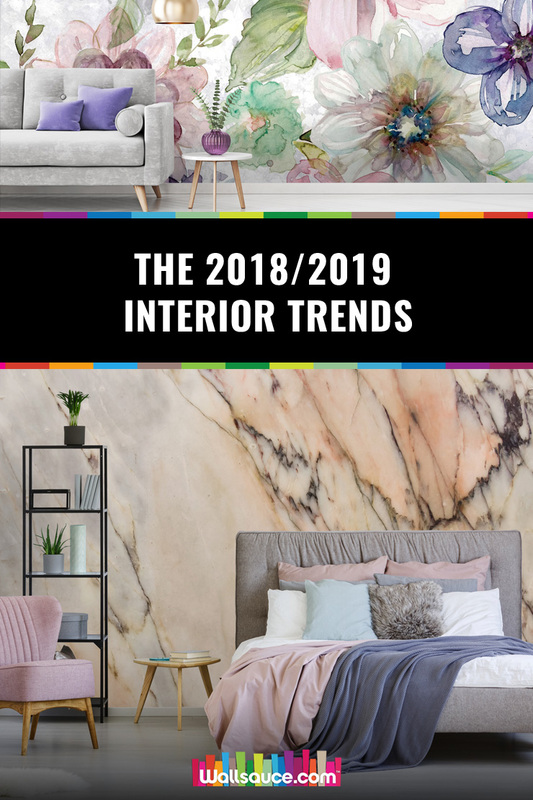 Continue reading to hear about the interior trends we think will continue through 2019. Wahoo! We were really pleased to hear that tropical vibes will continue throughout homes. 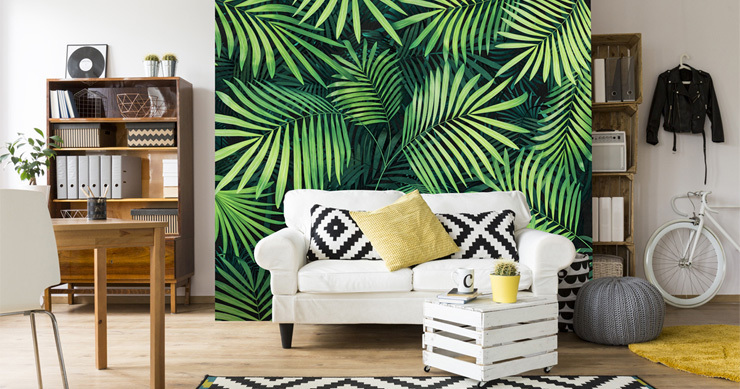 So far, our customers’ have LOVED our exotic jungle wallpapers. Recently, interior stylist, Emma Fishman chose our ‘pink jungle wallpaper’ for her feature in October’s HomeStyle magazine. Unfortunately, we can’t share her end result with you but you can hop on over to our Instagram page to see us tagged in the photo. A great way of incorporating this trend into your home is with one of our geometric wallpapers. 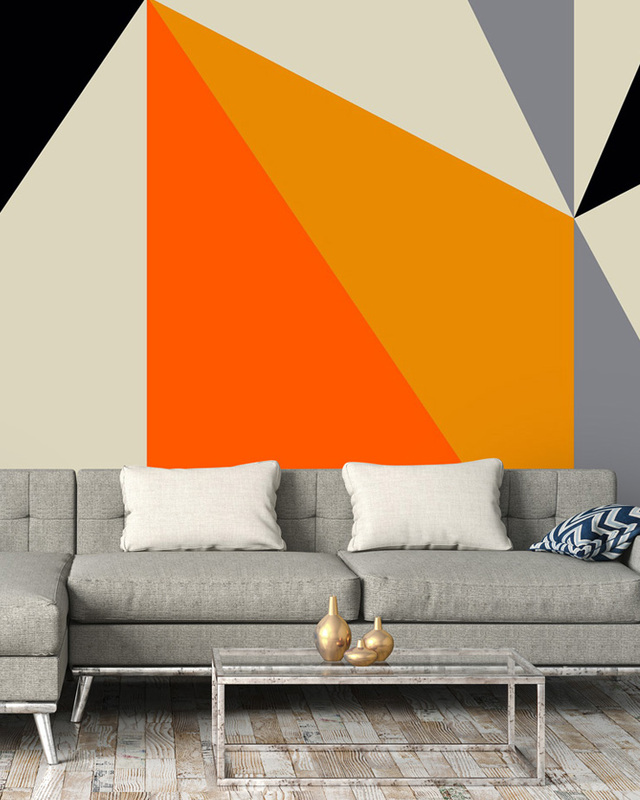 This one in particular by Greg Mably, not only creates a consuming pattern that a home in the 70s would’ve had, but it’s got that statement burnt orange. “Boho chic is being pushed aside for an unabashed luxury look,” advised Mark. “You will see more velvets and mohair, and lots of detail, such as fringe and buttoning. More is more at the moment, so look to refill those shelves and layer on the collections”. 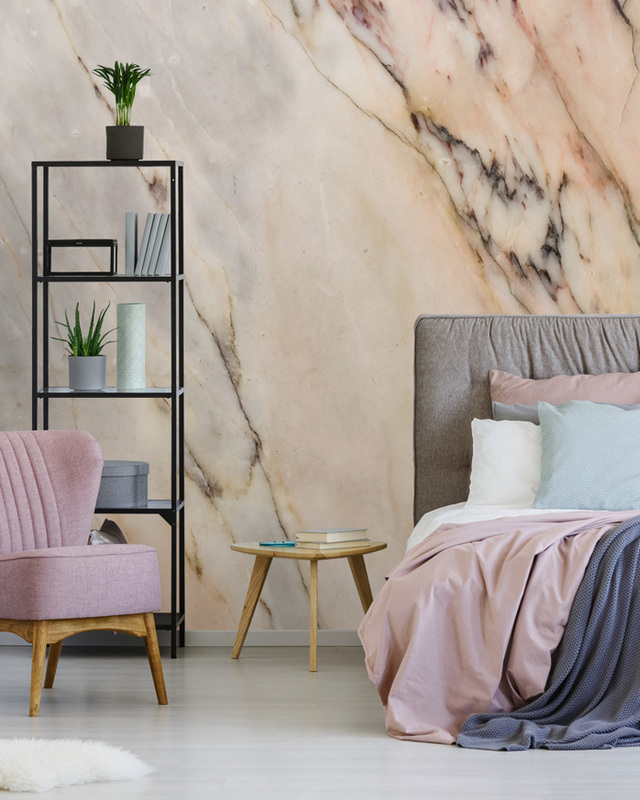 A great mural to help you achieve this interior trend is one from our marble wallpaper collection. They’re a great way of adding a luxury feel at a fraction of the cost of the real thing! For a portion of the world, it’s almost time to hibernate for Autumn. But if you’re in the part of the world that’s rolling into Spring, we’re sure you’ll find an excuse to create a cosy corner to relax in. 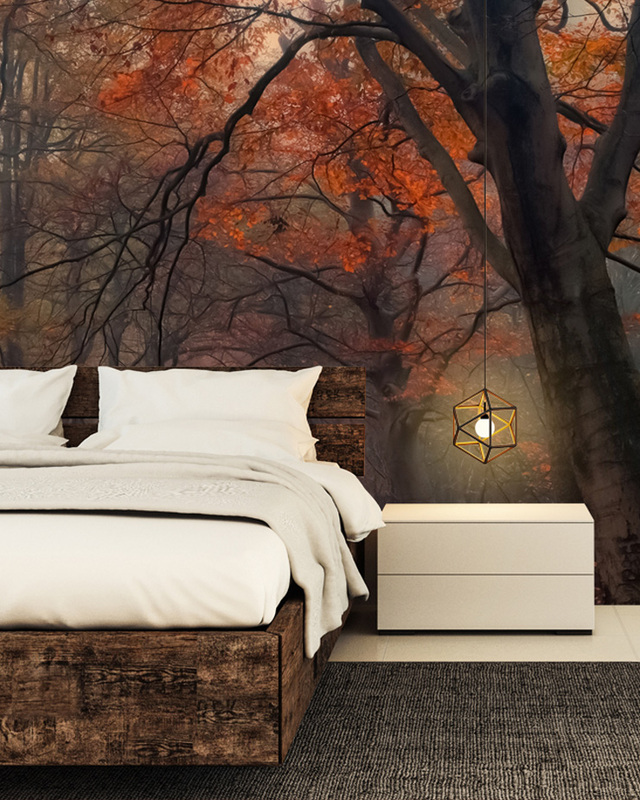 When it comes to creating your cosy clubhouse, think natural textures and warm, earthy tones like what you can get from a forest wall mural. This trend has caught our eye. For many seasons, homes have been perfecting the minimalist look with a clean Scandi style. Now, we’re following the rule of more is more but without the clutter. 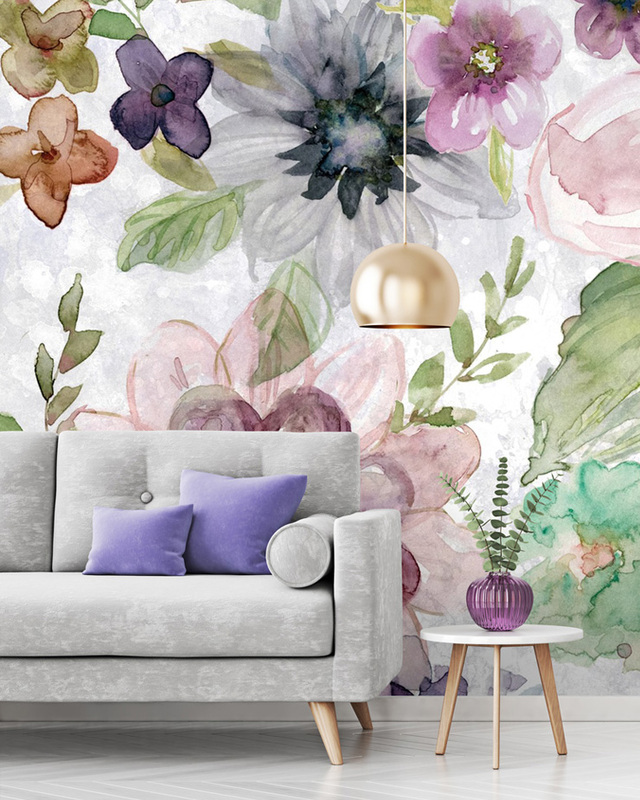 Check out our colourful range of floral wallpapers. They’re becoming increasingly popular and are available as both photo wallpaper or illustrative wallpapers in maximalist styles. A huge thank you to Mark Cutler at Mark Cutler Designs for sharing his expertise. We hope we've inspired you with the interior trends you need to know about for 2018/ 2019! If you think we’ve missed any out, please leave your suggestions in the comments box below.